Activity for children to practise singular and plural forms of fruit vocabulary. 1. Children sit in the circle. 2. Pre-teach or revise fruit names with flashcards. 3. 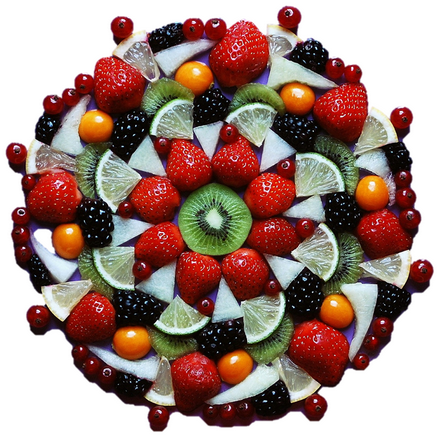 Say a recipe for fruit salad, but instead of reading the fruit names hold up the pictures and the children should say their names chorally. 4. Hand out pictures of fruit. 5. 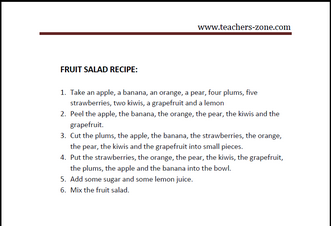 Ask the children to stand up and sit down when they hear their fruit and read the recipe again. - If the children like the activity, ask them to pass their pictures clockwise to their friends, change the action (ex. jump, clap your hands, turn around) and read the recipe again. Download more fruit flashcards for free. 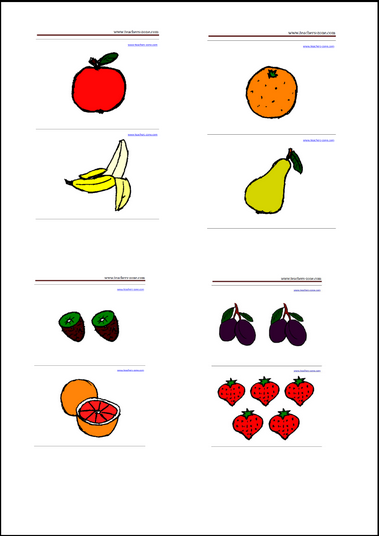 Download printable worksheets for fruit. I think that 'Food pyramid', 'Food map' (students match different dishes to the countries on the map) or 'Eating habits classmate survey' could be a great idea as well.